The name Strength 4 Spouses was born in Fall of 2016 for a graduate school project that required me to build a website. I wanted to build something that would allow me to share resources and information for military spouses in the Fort Bragg area. 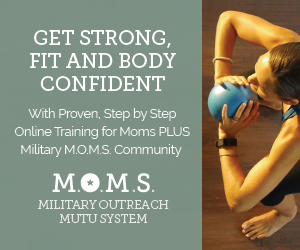 I loved the idea behind the website project of sharing local resources and the name really resonated with what military spouses need to survive this life. We need strength and developing it comes from many activities, resources, and support systems. The website I built in Dreamweaver, from scratch, was pretty basic and not something I was ready to present to the world. So, I sat on the idea and name for about six months after that tough semester of coding and website building. Then, after going through some pretty tough transitions my first few years as a military spouse and being inspired by one very well-known and established military spouse blogger, Julie from Soldiers Wife Crazy Life, I pushed aside my fears and the Strength 4 Spouses blog was born. This blogging adventure began as I was also finishing up my final year of graduate school. I used Word Press to build my site and found out that I didn’t have to know too much code to have an amazing looking website. That was a real relief. For the first six months, I saturated myself into learning through others, webinars, oodles of reading, joined many Facebook groups for bloggers, and figured out some basics of how to make a blog successful. I applied everything I learned and kept pushing forward. I even began to learn the art of social media marketing and finally joined Instagram in 2017. Over the past year, this blog has been a true place of hope, inspiration, and healing. There have been many times I have cried writing some posts that were very difficult for my heart, but the stories needed to be told. Sometimes, it is hard to put into words what you are going through. 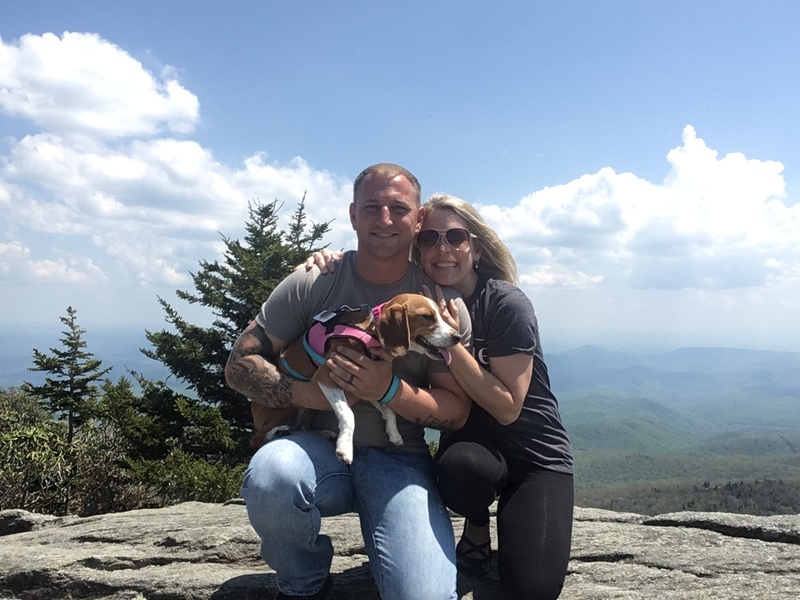 During some of my toughest times and transitions in this military life, I longed to find a story or a person who knew exactly what I was going through. I believe the written word has the power to heal not only those reading it, but also the person writing it. 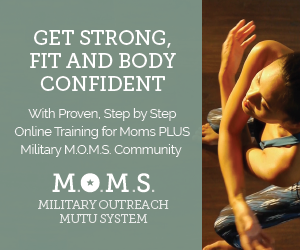 I had a feeling that sharing some of my journey, even the most painful parts, and other military spouse stories would have the power to bring healing and comfort to others. I knew if I could do that and somehow help others in the process, that this blog would serve its purpose. My desire is that through the Strength 4 Spouses blog, the Facebook page, and the Instagram account you will find the resources you need, inspiration and hope to get through tough times, stories of strength & perseverance to lift you up, and ideas to help you develop the strength as well as the resilience you need when military life throws curve balls your way. Strength comes in many forms, and that’s just what you will find on Strength 4 Spouses. I strongly believe that strength comes from being outdoors, developing your faith, sweating it out with exercise, expanding your horizons and intellect through education, healing holistically, nutrition, pursuing your dreams, loving and nurturing a pet, finding your tribe, planting roots into your local community, volunteerism and helping others, and cherished moments spent with family. Strength leads to empowerment. You feel empowered to do things when you feel physically and mentally strong. I truly hope that Strength 4 Spouses has given you the strength you need and left you feeling empowered in some way to be a better you, to find enjoyment in each moment of life, to live healthy, to value community, to seek and further your education, to rise above tough situations and find the light again, and to lend a helping hand whenever possible. **Giveaways were shipped to 6 different states, delivered locally in the Fort Bragg community, and shipped to a country overseas. What’s next in year 2 for Strength 4 Spouses? Services and products will be offered. To all of my followers, thank you from the bottom of my heart. You are the reason I am continuing on this blogging journey. Your sweet comments, messages, reviews, and emails have truly touched my heart. Your support means so much. I hope that Strength 4 Spouses gives you just as much as you continue to give me. On this journey, I have met many other military spouse bloggers and entrepreneurs. They were quick to lend a helping hand when I needed it and that does not go unnoticed. Whether it was to answer beginning blogger questions, help me navigate registering my blog as an LLC, recommending me for freelance work, or simply sharing, liking, and commenting on my content, each of you have paid it forward. I am humbled by your kindness and promise to return that gesture to you and others who need that helping hand too. Collaborating with others is huge in the blogging world. 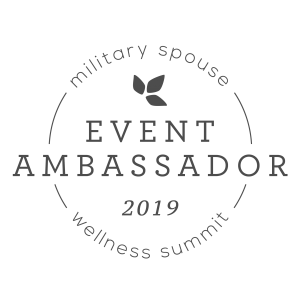 I have been fortunate to meet and get to know so many amazing military spouse bloggers, authors, and veteran-owned businesses, simply from arranging a collaboration. When you collaborate with others, you get to know the person behind the business. You help them and they help you. For all of those I have collaborated with in my first year through exchanging of guest posts, reviewing products, and book reviews, thank you for the chance. You all have given me the chance to know the awesome person behind the scenes, to learn about your business, to read your books, and to try out your fabulous products. I am truly enlightened because of each of you. I have a deep appreciation to all of you for gifting me with knowledge, inspiration, and motivation. That is priceless! 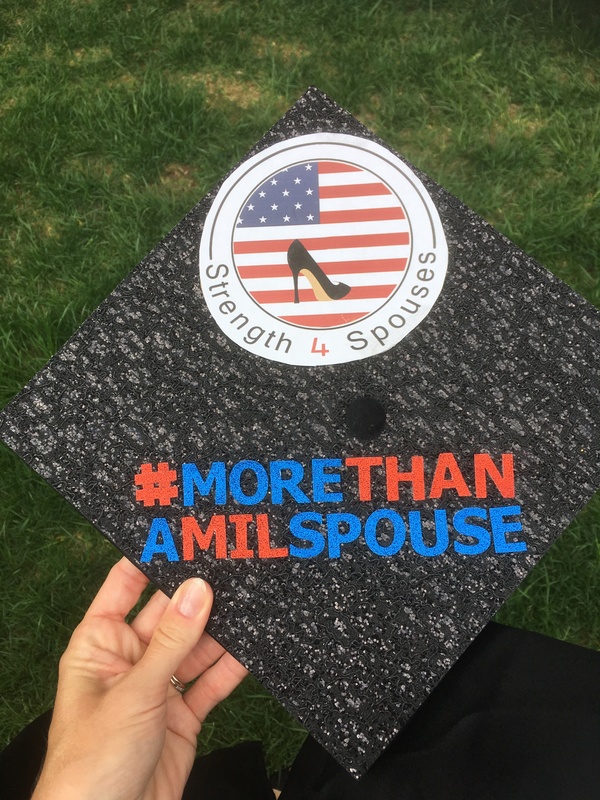 Thank you to everyone who supports the Strength 4 Spouses blog. Cheers to another year of learning, inspiration, happiness, and strength! You are doing great things, Wendi. May your blog journey continue to bloom and grow. Happy birthday and thanks for all you do to better our community!